Dedicating all of today to studying Japanese so that I will be prepared for an oral and listening text next week! And I’m just in the mood for Japanese because I’ve discovered an awesome site to learn from! 😀 More on that next time. Was studying and came across the word 焼きそばパン！ OMG. Noodles and bread together??! MY KIND OF FOOD. First came across this term in a manga years ago and I thought that it was a ermm original creation of that manga. Like it just doesn’t exist in real life. 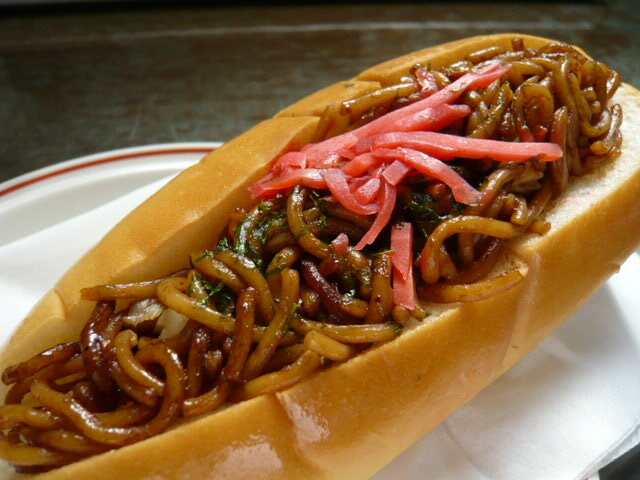 Yakisoba pan can be found at local convenience stores and quite often found during festivals. If i remember correctly, can even buy from vending machines! You’re talking about Yakitake! Japan, right? I thought the same, too! Do you have any recommended sites to learn from for Japanese? Which steps you should avoid and where to begin? It’s a djungle out there.